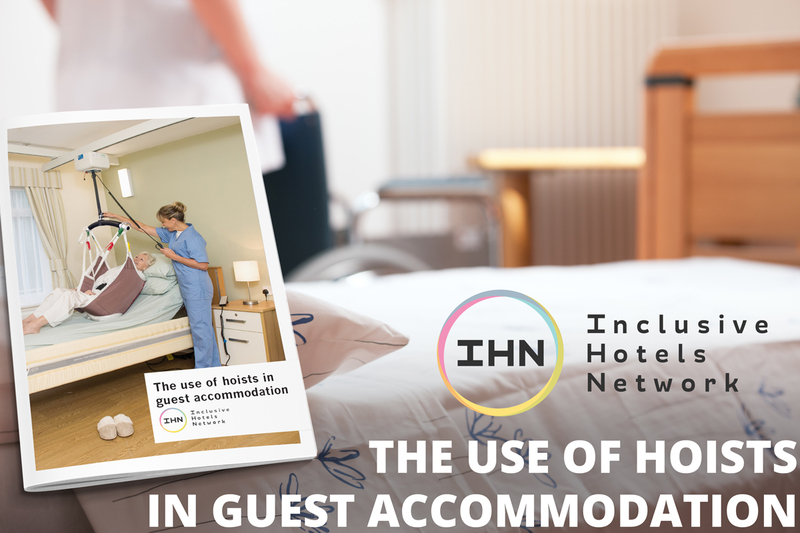 The Use of Hoists in Guest Accommodation: a Publication that outlines the best practice and ideal solutions when considering an inclusive guest environment. Working in an advisory capacity, OpeMed are very pleased to have offered our technical expertise to the Inclusive Hotels Network on their latest publication, The Use of Hoists in Guest Accommodation. As manufacturers of Ceiling Hoists, OpeMed gave consultative information on technical aspects of the hoist as well as providing case studies from installations on previous projects and experience led tips on optimising accessibility in accommodation environments. The second document offered from the IHN, it is meant as an impartial and comprehensive resource for those in the Hotel and Hospitality Industry, Construction Industry professionals and anyone looking to improve their knowledge on the legislation and application around accessibility in guest accommodation. The document outlines and explains relevant points relating to the title topic, covering the compelling business case for the installation of a hoist in a hotel or accommodation and netting the purple pound, differentiating the various hoist types and listing the considerations needed, as well as supply several case studies to highlight the success and pleasing aesthetic of accessible accommodation endeavours. The guidance of Approved Document M, BS 8300 and other publications are aimed at construction industry professionals. The IHN, founded in 2012, first convened to address this knowledge gap; even if operators are aware of their existence, they are unlikely to be able to interpret the regulations and standards to make decisions about inclusive environments. A primary issue within this sector is providing a fully accessible environment whilst also maintaining a visually appealing and attractive appearance. As seen in the case studies, Flat Spaces for example, this is entirely achievable. With the possibility of flush or recessed tracking, Ceiling Hoist Track can remain as unobtrusive as possible. The OT200 Hoist, being one of the most compact on the market, is discreet and quiet, avoiding appearing too clinical or conspicuous. For a hoisting solution that can create an accessible space without permanently transforming a room, the portable hoist and gantry are an elegant answer. They enable transfers from chair to bed and vice versa which, being temporary, can be applied to any guest rooms – broadening the options that disabled visitors would have when selecting a place to stay.